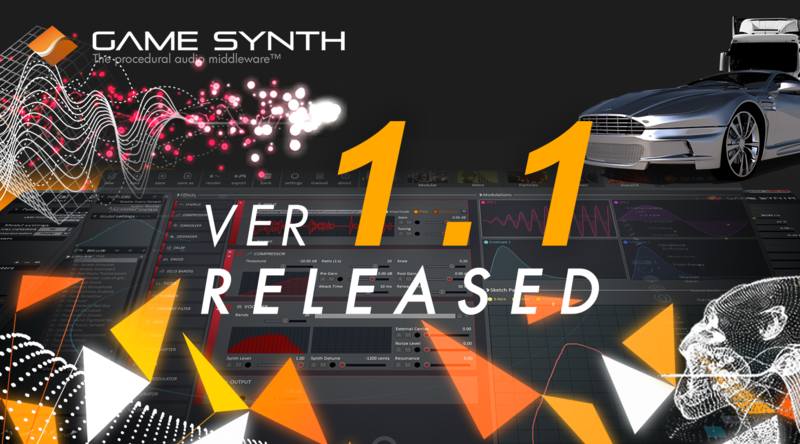 We are proud to announce the release of GameSynth 1.1! GameSynth 1.1 comes with several brand new procedural audio models as well as many improvements and new features for the previous ones. 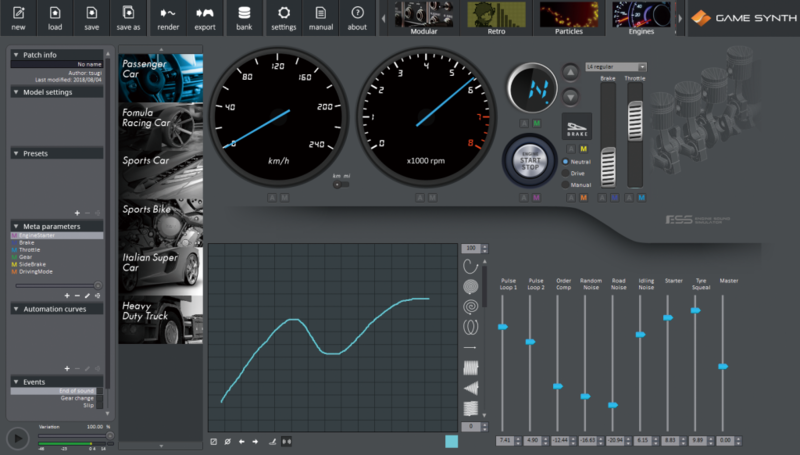 The new plug-in system of GameSynth 1.1 allows both researchers and audio companies to implement their own procedural audio models and sell them easily, building on the existing framework of GameSynth. Interested? Contact us at gamesynth@tsugi-studio.com! 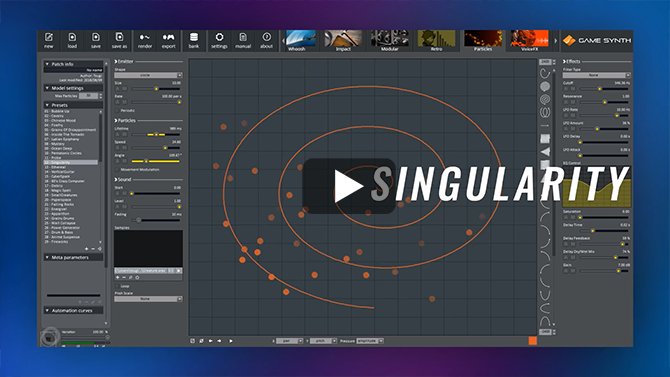 The first GameSynth plug-in has been developed by Sound Design Labs with the help of Tsugi. It is a physically-accurate and fully-controllable model of an engine (sold separately). Many types of vehicles are available (F1, motorbike, sports car, heavy duty truck etc.). (free update for current users)! 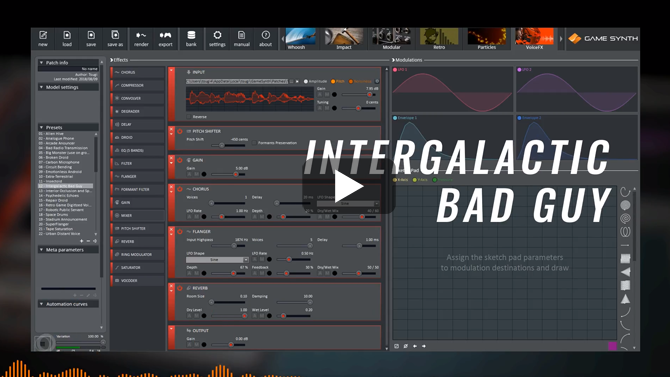 If you are a game sound designer, you owe it to yourself to add GameSynth to your arsenal!